Moving Cape Town’s cenotaph from its present position at the end of Adderley Street makes “a lot of sense” the oldest military veteran organisation in South Africa maintains. 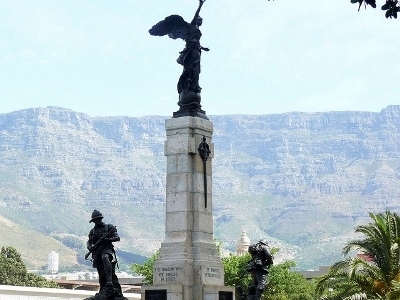 Cape Town metro wants the memorial to South Africans who died fighting in the two world wars moved to make way for a bus station as part of the city’s public transport system upgrade. City management has proposed three different sites for the war memorial, The NewAge newspaper reports. These are either on the median of the Heerengracht, at the memorial garden in the Company Gardens or on the Grand Parade, the daily says. “Our suggestion is for it to be re-sited on the Grand Parade. This is a centre of military culture in Cape Town with the Drill Hall, the Castle and Boer War memorial all in close proximity. Additionally the old City Hall containing the Roll of Honour is also nearby,” he said. Metro management yesterday issued notice of a second round of public comment of moving the massive granite plinth with its statue. This follows comments received during the first round from interested professional and civic organisations as well as members of the public. Del Monte said her knew of objections but these were more “sentimental” than anything else.